The Thinvik cleat covers eliminates cleat wear, improves walking comfort, it is lightweight, durable and flexible. 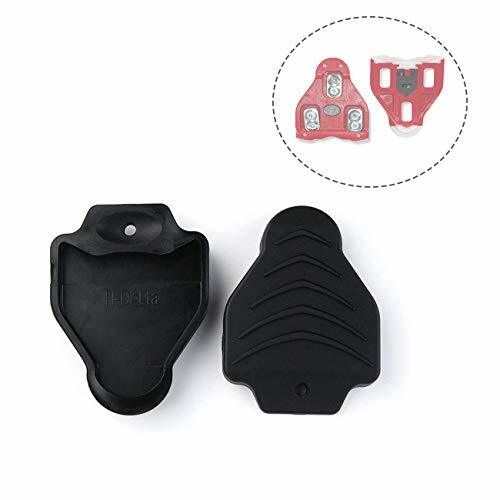 -- Perfectly compatible with both fixed and floating LOOK KEO cleats. -- Make of high-quality rubber.It is more durable and comfortable than ordinary rubber. -- The anti-skid design ensure your safety when walking on a slippery road surface. -- Prevents mud and dirt from building up inside cleats and easy to attach and remove. Fit LOOK Delta/Vig RC5 System/E-ARC1/5, E-BLK1/5 System cleats. If you have any questions about this product by Thinvik, contact us by completing and submitting the form below. If you are looking for a specif part number, please include it with your message.